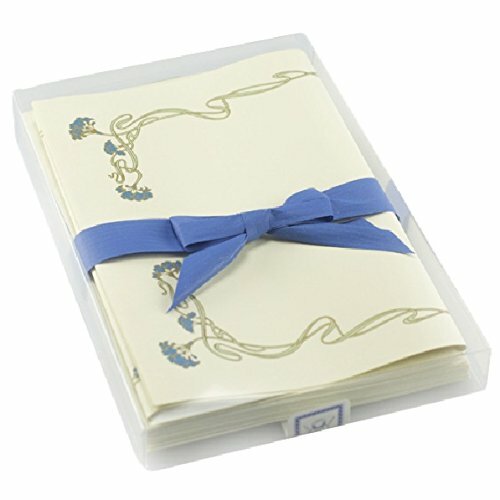 Watermarked writing paper with a floral blue frame for sharing your thoughts with your loved ones. Il Papiro Firenze makes all of its products using the best traditional Italian handicraft techniques and methods. The marbleized card is hand-decorated using the 17th century "water bath" method. All of Il Papiro Firenze's books and products are packaged using the best traditional materials and paper carefully decorated by hand. Writing paper and cards are printed with the maximum care using the best typographic and lithographic techniques on the highest-quality watermarked paper and card. If you have any questions about this product by Il Papiro - Firenze, contact us by completing and submitting the form below. If you are looking for a specif part number, please include it with your message.